It is a successful family affair when three sisters energy combines to create an impressive clothing line called Chris Gramer. 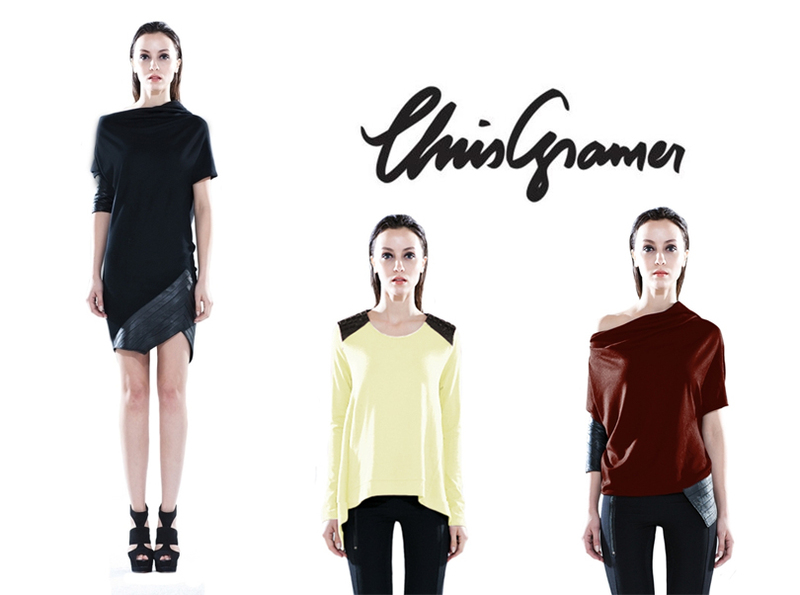 The name Chris Gramer is the result of combining part of the three sisters’ names, Christine, Grace and Merrie Lee, and the style is high-class flair with a downtown attitude. Grace, Ambience’s lead stylist and buyer, likes finding emerging designers and she fell in love with the hand-draped fabric and that the leathers treated to perfection. Asymmetry is another key element of their collection that is show stopping. We have more coming in from this designer, this is one to watch..